The Larson Group is known for producing undeniable quality in body work. With high quality products and highly trained technicians, it is our joy to make repairs unnoticable and to produce stunning custom body and paint jobs. It doesn't matter if we put in a headlight or custom fabricate an entire truck. What is important to us at TLG is that every customer is treated like a show truck customer. 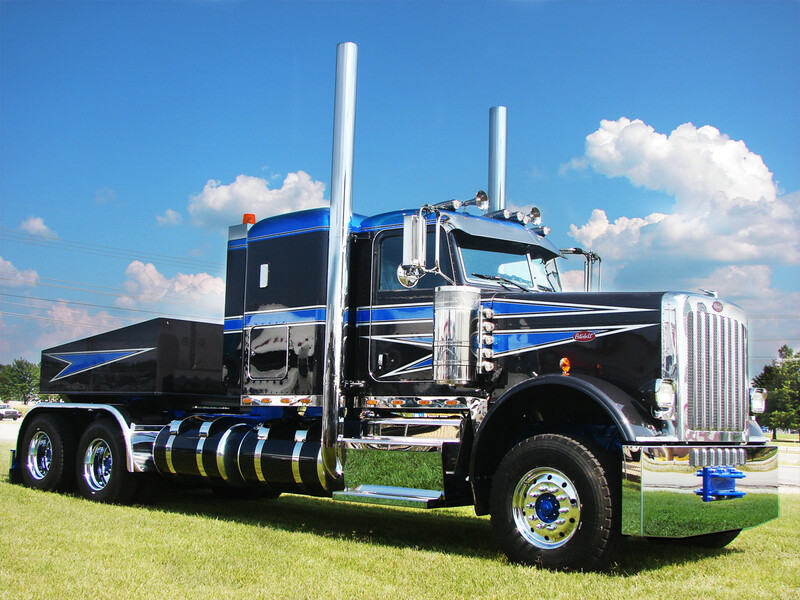 Body work is an art that the Peterbilt brand is known for. With trucks that offer the most possibilities in both vision and choices, you will find a body shop at TLG with Hand-built, Machine Shopped, and Laser Cut work. With an in-house metal working shop at our Peterbilt of Joplin location, you will find the top of the line build components, fabricators, body men, and painters. TLG prides itself in a team of skilled individuals working together. From remote control doors to polished stainless steel details, our team will bring your vision together and translate your ideas into a reality. It's a rewarding experience at The Larson Group, where we know our customers by name. For us, excellence in body repairs or custom work comes standard. Get expert advice or make an appointment for heavy duty truck repair or body work at one of our locations. Learn more about TLG Peterbilt's dedication to diversity as well as excellency in heavy duty truck repair and body work. It is very rewarding and always an honor when customers talk about the work our team has done.